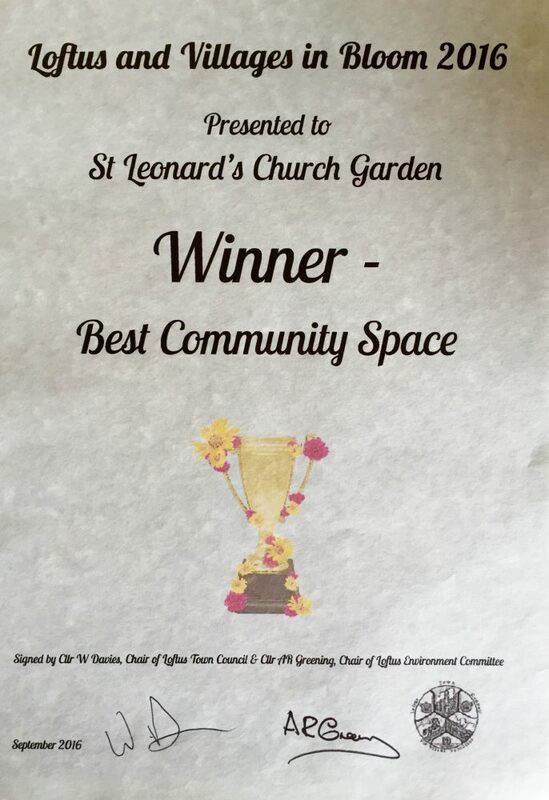 Saint Leonard’s Remembrance Garden Wins “Best Community Space” Award! Congratulations and many thanks to Loretta and to all those who have given their time to the upkeep of our lovely remembrance garden and to everyone who has donated money, flowers, roses, bulbs and shrubs to Saint Leonard’s Churchyard over the years. Your work and generosity is much appreciated!